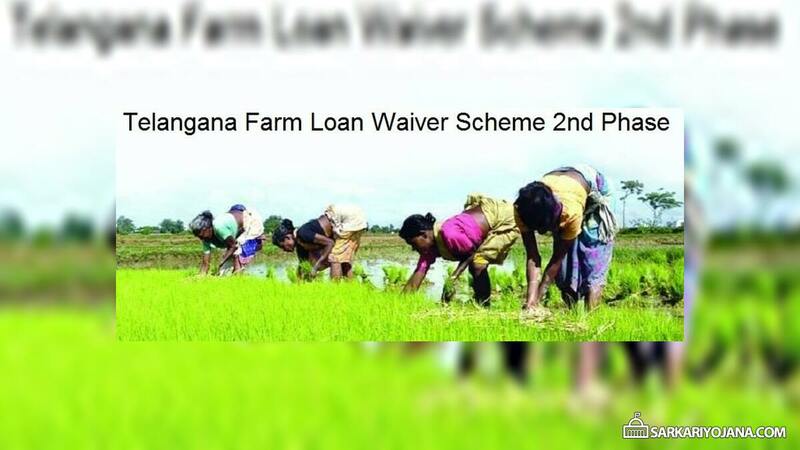 Telangana government plans to start Farm Loan Waiver Scheme Second Phase worth Rs 24,000 crore in a phase wise manner. The timeline for this crop loan waiver scheme is yet to be decided and the Telangana state govt. will implement this scheme after the Lok Sabha elections. As pre-poll promise of the Telangana Rashtriya Samiti (TRS) in FY 2014, CM KCR had waived off all kind of farm loans which cost Rs. 17,000 crore to the state exchequer. This process of waiving off crop loans was completed in 2017. Latest Update – CM KCR announces Telangana Crop Loan Waiver Scheme in Budget 2019-2020. The 2nd phase of Farm Loan Waiver Scheme in Telangana is going to include all kinds of loans taken for agricultural purposes. This scheme to waive off agriculture loans of farmers will be implemented with an outlay of Rs. 24,000 crore. As per the official reports, the state govt. is working to finalize the modalities of this scheme. KCR government has definite plans to implement its plans and would not be shooting arrows in the dark. On direct cash benefit transfer or Rythu Bandhu Scheme, govt. would waive off farm loans worth Rs. 1 lakh and would increase the incentive to Rs. 10,000 per acre. Till date under Rythu Bandhu Scheme in Telangana, the state govt. provides Rs. 8,000 per acre per year per crop in 2 phases. These includes Rs. 4,000 per acre each for Kharif and Rabi seasons. CM KCR had made it clear that tenant farmers are not going to be included in the Rythu Bandu Scheme and they would have to be taken care off by the land owners. The state govt. is also working on finding an absolute solution on unemployment by giving allowances to jobless youth. Telangana govt. will form a policy on roads and is going to spend huge amount on development of existing major roads and connect every new gram panchayat with BT road. The state govt. would also strictly enforce new Panchayati Raj Act to ensure clean and green villages. Every person who is found littering, would have to pay a fine of Rs. 500.